Take a picnic, but leave no trace! Watch the weather forecast for clear days for better views. Since many of these hikes are a much higher elevation than most of our cities and towns, expect cooler temperatures. For instance, the top of Mt. Mitchell is often 15-20 degrees cooler than the city of Asheville. During winter months, access to some of the higher trails is limited due to closed sections of the Parkway and Forest Service Roads. See our Top 20 Winter Hikes for options for December-March. Often, an early morning hike is the most awe inspiring with lifting fog and the rising sun. How about a breakfast picnic?! Take water since all of these hikes are uphill. Wear sunscreen since you'll want to spend some time up top to soak in the views. Since you can drive almost to the top of highest summit east of the Mississippi, it's just a short walk (but uphill) on a paved trail to the observation deck. Mt. Mitchell State Park (free admission and located off the Parkway) is a must-see for anyone looking for elevation! The Deep Gap Trail starts from the summit parking lot and takes you to Mt. Craig, the second highest peak in the eastern USA. It has great views from it's summit also. Read more about Deep Gap Trail. 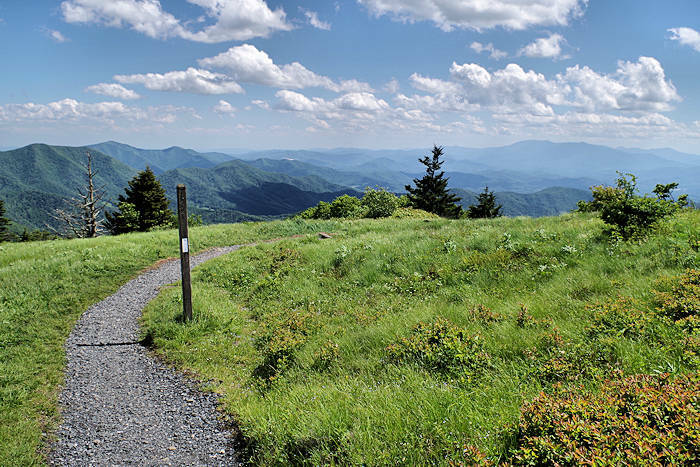 The many overlooks along the Blue Ridge Parkway offers panoramic mountain views roadside. So it's a great alternative for those that cannot hike or if you have small children. 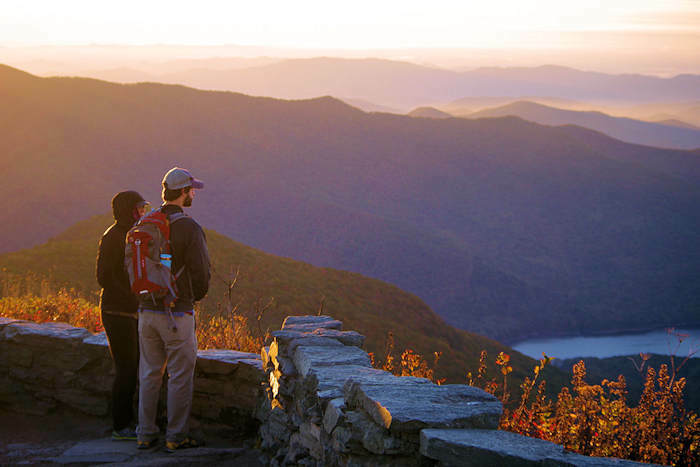 See our Blue Ridge Parkway guide. 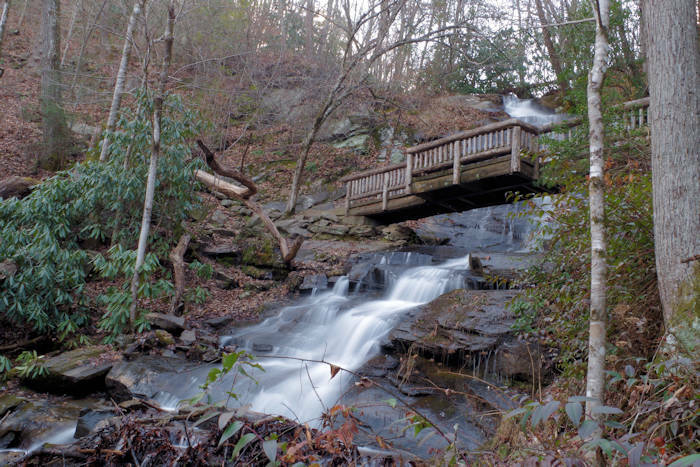 More Hikes: See our Top 75 Hikes Near Asheville!